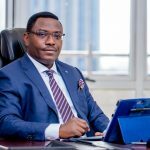 Group Deputy Managing Director, United Bank for Africa (UBA) Plc. 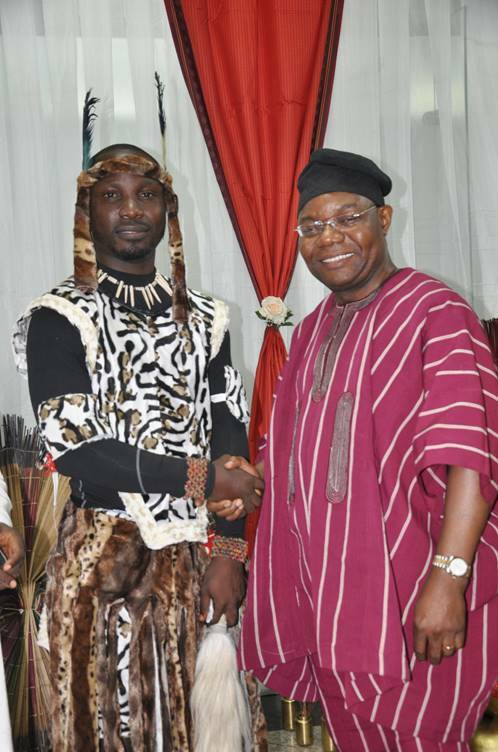 Victor Osadolor, with a staff of UBA and Winner of the Best Dressed, Male CategoryvAbdullahi Egunjobi during the 2017 Africa Day Celebrations held at UBA House, Lagos last week. Africa Day is dedicated to celebrating the diversity of the African continent, as well as to highlight the cultural and economic potential that exists on the continent. UBA Staff celebrated the day in grand style as they dressed to work in a display of the best of Africa’s rich attire. At the bank’s head office in UBA House on Marina, Lagos, Nigeria, there was an unusual welcome for staff, as they were ushered into the building with a rendition of traditional African music and unique African themed decorations adorning the building, thus presenting special ambience to the celebration for a bank that takes huge pride in its African heritage. There was also excitement in the air, as a lot of things to celebrate the African heritage was also on display and staff were treated to various African meals and snacks throughout the day in their offices. The highlight of the day was the crowning of the best dressed male and female in African attires, who emerged from votes cast by staff. Two staff emerged winners and were rewarded with an all-expense paid trip to Seychelles. 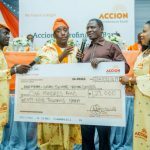 The three winners selected from both the male and female categories were given cash prices amounting to about N350,000, while the best dressed female, Mrs. Ebeano and Mr. Abdullahi were rewarded with an all-expense paid trip to Seychelles. The Deputy Managing Director, UBA Plc, Mr. Victor Osadolor, who spoke at the ceremony to announce the winners, reiterated that UBA is a core African bank with deep African roots that has continually supported the continent in various ways over the years. He added that the bank remained proud of its African heritage. It will be recalled that the African Diplomatic Group, an association of African group of Ambassadors and High Commissioners to the Federal Republic of Nigeria recently commended UBA for the sponsorship of the upcoming 54th Africa Day Celebration. In a letter addressed to the Group Managing Director/CEO, Mr. Kennedy Uzoka and dated 23rd January 2017, appreciating the bank’s support, the High Commissioner of Rwanda, Ambassador Stanislas Kamanzi praised UBA for sponsoring the celebration of the 54th African Day. Africa Day, formerly Africa Freedom Day and African Liberation Day, is the annual commemoration of the foundation of the Organisation of African Unity (OAU) usually celebrated every May 25th and UBA celebrates Africa Day annually in line with the official celebration by African nations, reiterating its long-held belief that the future belongs to African continent leveraging on the occasion to rekindle the African spirit that drives the group’s vision to be a dominant financial services provider on the continent financing the continent’s emergence as a recognizable economic power. 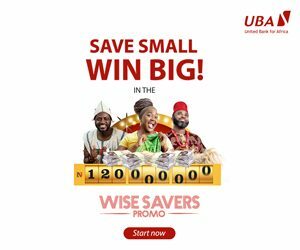 United Bank for Africa (UBA) Plc is a leading Pan-African financial institution, offering banking services and customer touch points in 19 African countries. 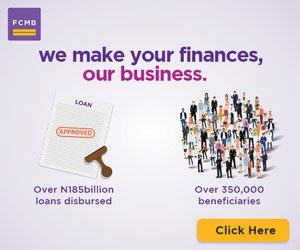 With presence in New York, London and Paris, UBA is connecting people and businesses across Africa through retail, commercial and corporate banking, innovative cross border payments and remittances, trade finance and ancillary banking services.